On April 24, 2013, House Judiciary Committee Chairman Bob Goodlatte announced that the committee would be undertaking “a wide review of our nation’s copyright laws and related enforcement mechanisms.” Five months later, UC Berkeley School of Law Professor Pamela Samuelson formally requested that the American Law Institute (ALI) prepare a restatement of copyright law. It might seem odd that a prestigious institution like ALI would devote time and resources to restating the “law of copyright” when the U.S. House of Representatives is taking steps to possibly amend the federal Copyright Act. But it is going forward with a Restatement of the Law, Copyright project. ALI is an organization of academics, lawyers, judges, and other legal professionals that studies various areas of law and prepares treatises that “clarify, modernize, and otherwise improve the law.” Courts and legislatures look upon ALI’s best-known treatises, such as the Restatement of Contracts, as authoritative summaries of state common law—i.e. legal principles derived from judicial decisions. A review of its current projects, though, suggests that ALI is drifting away from its traditional approach. Professor Samuelson’s letter stated that an ALI copyright project “could provide an invaluable and timely analysis and framework for other reform efforts that are currently underway.” Further on in the letter she implies a much larger ambition when decrying the “long and contentious process” of passing laws that makes “comprehensive reform of the statute . . . unlikely to happen any time soon”: Lawyers, academics, and judges at ALI, she seems to suggest, are better positioned to bring clarity to the law of copyright than elected officials in Congress. We have two concerns with this, one obvious, one less so. 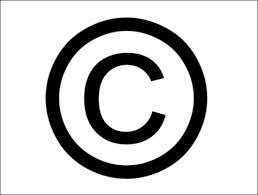 First, unlike restatements of the state common law, the law of copyright has its basis in a federal statute—the Copyright Act—which in turn has its basis in Article I, Section 8, Clause 8 of the U.S. Constitution (“To promote the Progress of Science and useful Arts, by securing for limited Times to Authors and Inventors the exclusive Right to their respective Writings and Discoveries.”). To be sure, federal courts have interpreted and applied the federal copyright laws in a varied and often contradictory manner. But from the Founding, it has been the job of Congress, not the courts, to clarify the scope and balance the equities of the copyright laws. I write separately to note that modern Restatements—such as the Restatement (Third) of Restitution and Unjust Enrichment (2010), which both opinions address in their discussions of the disgorgement remedy—are of questionable value, and must be used with caution. The object of the original Restatements was “to present an orderly statement of the general common law.” Restatement of Conflict of Laws, Introduction, p. viii (1934). Over time, the Restatements’ authors have abandoned the mission of describing the law, and have chosen instead to set forth their aspirations for what the law ought to be . . . Restatement sections such as that should be given no weight whatever as to the current state of the law, and no more weight regarding what the law ought to be than the recommendations of any respected lawyer or scholar. Reform of the copyright laws is not an academic or esoteric issue. Those who create, produce, and distribute copyrighted materials employ millions of Americans and contribute billions to the U.S. economy. Clear and transparent rules are essential not only for copyright-oriented industries, but also for any business whose activities may raise copyright infringement concerns. The ongoing reform efforts on Capitol Hill should be given a chance to offer such clarity. On occasion we share Professor Samuelson’s impatience with Congress, but we have greater trust in the democratic system to forge consensus and promote the public interest than we have in a private restatement process, at least where reform of a federal statute is concerned. The problem is that Copyright law has already been effectively rewritten via treatise outside the traditional, accountable lawmaking process – Nimmer’s treatise on copyright which categorically reveals the author’s bias on several issues pertaining to copyright and from which courts have given undo deference towards.